Don’t listen to music when on the train. Rosetta Stone couldn’t understand them. Above rivers imitating the sea. Ears of neighborhoods behind where the sun sets. And the women moved mountains, too. From seeing where the sun rise. There’s a hive of Haitians. 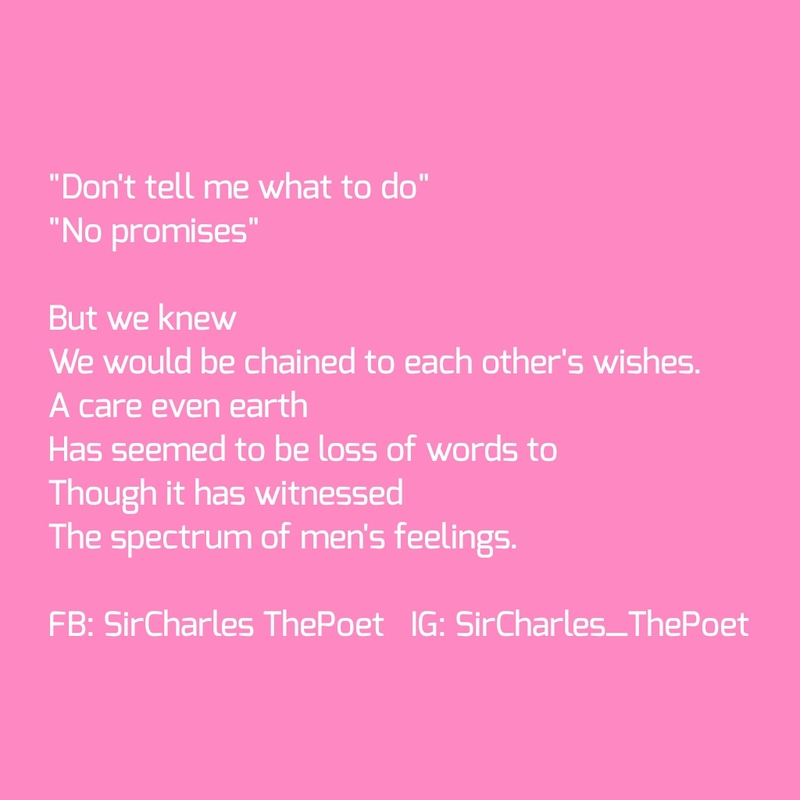 We would be chained to each other’s wishes. The spectrum of men’s feelings.